The good thing is that you don’t need to add any update site in Eclipse .. just search for MemoryAnalyzer and install the plugin..
Run the app and the following output should appear soon – the app is available from the tutorial sources for download as an executable jar (dummy/outofmemory.jar). and other implementation specific data. Options are mutually exclusive. Option, if used, should follow immediately after the command name. process id for which the memory map is to be printed. The process must be a Java process. 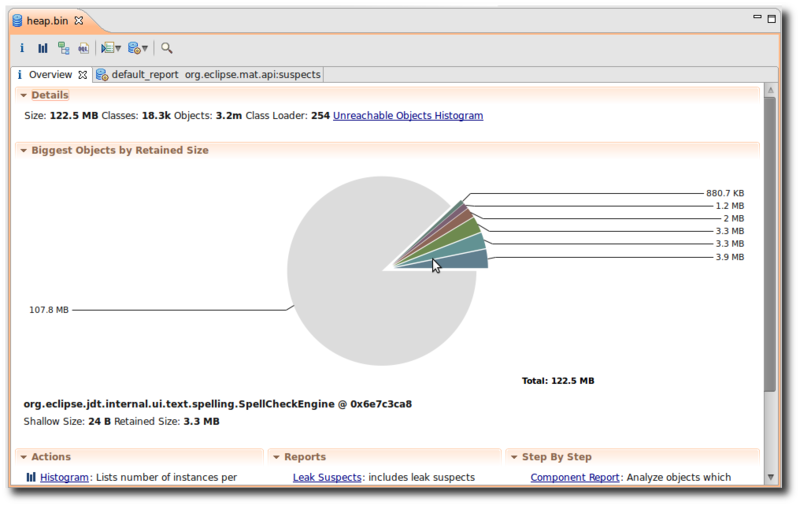 To get a list of Java processes running on a machine, jps(1) may be used. Java executable from which the core dump was produced. core file for which the memory map is to be printed. remote debug server's (see jsadebugd(1)) hostname or IP address. optional unique id, if multiple debug servers are running on the same remote host. 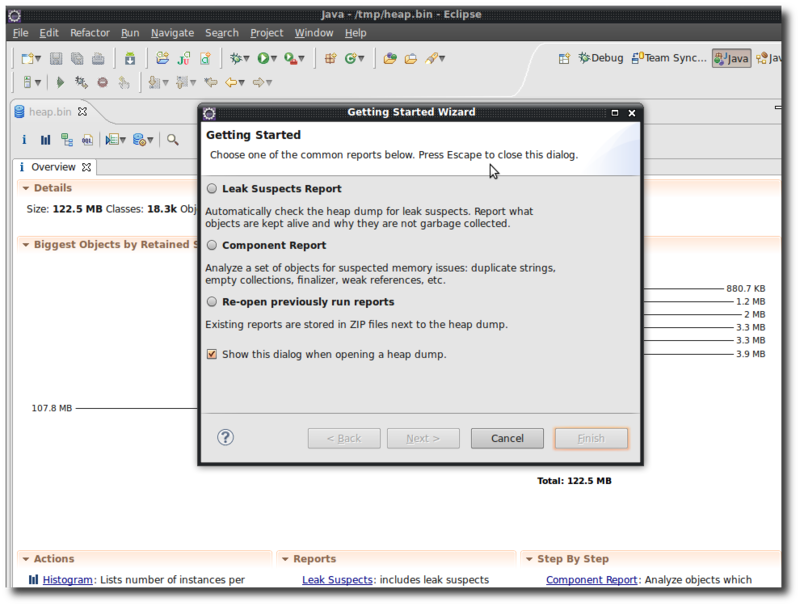 Now start your Eclipse and select File > Open .. and select the dump file .. e.g. /tmp/heap.bin from the example above .. the analyzer plugin will start to read the dump automatically..
Having finished loading the dump a nice wizards helps you to create one of the several available reports ..
2018-05-13: Link to forensic analysis article added. This entry was posted on Wednesday, November 2nd, 2011 at 8:49 pm	and is filed under Java. You can follow any responses to this entry through the RSS 2.0 feed. You can skip to the end and leave a response. Pinging is currently not allowed. thanks for the article, I especially like the jmap command to dump during runtime.